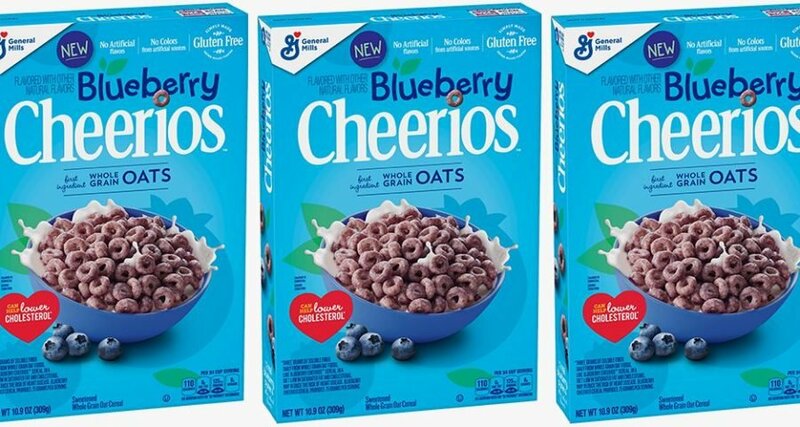 Home » Diet & Food » Blueberry Cheerios Are Rolling Out on Shelves, So Is It Breakfast Time Yet? Blueberry Cheerios Are Rolling Out on Shelves, So Is It Breakfast Time Yet? 04.13.2019 Comments Off on Blueberry Cheerios Are Rolling Out on Shelves, So Is It Breakfast Time Yet? UPDATED: April 12, 2019 at 2:20 p.m.
A rep from General Mills confirmed to Best Products that Blueberry Cheerios will be hitting shelves nationwide beginning this spring. The flavor will be permanent (yay!) and will come in 10.8-ounce ($3.99) and 19.8-ounce ($4.99) boxes. ORIGINAL POST: April 8, 2019: 3:41 p.m.
There’s never a wrong time for cereal. Whether it’s for breakfast or a late-night snack when you can’t help but devour the entire box, it’s a comfort food that doesn’t get old. General Mills’ Cheerios is among the classics that you’ve probably been eating since you were in diapers. The brand has a new flavor that is guaranteed to fulfill all your cereal-loving needs: Blueberry Cheerios. Cerealously broke the news on the upcoming release in February 2019. But it looks like Instagram account @theimpulsivebuy posted the first picture of the Blueberry Cheerios in the wild on April 7. The caption indicates that the cereal was seen at Shoprite, so we’re hoping that means it’s rolling out in all retailers now. The new Blueberry Cheerios are made of whole grain oats and natural flavors. Blueberry-flavored anything gets a thumbs up in our book, so we’re hoping these live up to the expectation. While it isn’t clear where the photo originates, General Mills snacks, including Blueberry Cheerios, seems to be have been confirmed. The cereal has yet to be listed on the product page, alongside Very Berry Cheerios, Fruity Cheerios, Peach Cheerios, and other fruit-inspired flavors. If you need me, I’ll be frantically searching every grocery store until I get my hands on these babies. When it comes to cereal, there’s no time to play around.